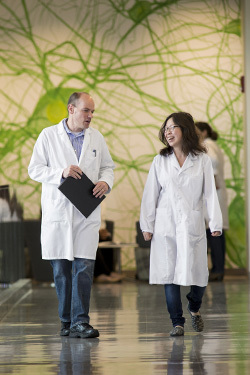 Want to work in a faculty lab? Start by finding out about faculty research programs. Students interested in undergraduate research frequently approach faculty members. You will leave a favorable impression if you know what these faculty members do and are able to explain why their research interests you. Investigating faculty members’ research perspectives before you talk to them will help you find a lab to work in—and the right lab. Faculty research is funded by external grants that often include funds to hire undergraduate lab workers. A paid position may mean you’ll be cleaning glassware, but it is a foot in the door (and cash in your pocket). Undergraduates who start out as lab drudges (as some researchers call them) often progress to the point of conducting their own research. Get involved however you can. Internships outside of Wright State may be available in some research areas. These may be paid or unpaid, but all will provide valuable experience.